Indian SMEs are credit starved and there is a long-standing need for bridging this financial access gap. 80% of SMEs in India (~30M in number) don’t have access to formal credit due to insufficient credit history or a complex process involving high documentation and decision time. 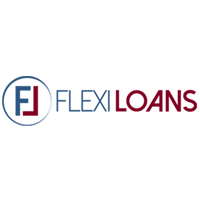 FlexiLoans.com is the only new age SME lender which focuses on the long tail of SMEs through ecosystem or direct originations, giving them a distinctive advantage over other lenders who depend on DSAs for acquiring customers. The company has created proprietary technology and algorithms to onboard these customer on to their platform and assess despite no prior credit footprints or substantial data. 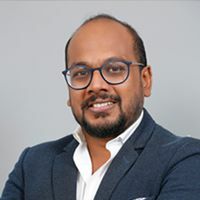 It has more than 100 active partnerships in the country and has consistently ranked as a leading Digital partner for E-commerce and payments platforms like Amazon, Flipkart, First Data, MSwipe, ShopClues. FlexiLoans.com was incorporated in February 2016 and after 6 months of sustained growth using founder’s own capital, they raised Rs. 100 crores from Marquee bankers like Sanjay Nayar (CEO: KKR-India), Anil Jaggia (Ex. CIO – HDFC Bank) and Vikram Sud (Ex-COO, Citi Asia Pacific and Kotak). It was a turning moment for the young start-up and was incidentally one of the largest seed stage round raised by a FinTech startup in Asia. In a very short span, FlexiLoans.com has assessed over 1.5 lakh SMEs and serves over 1000 cities in India with a completely branchless presence. It is a leader in data led credit decisioning with a dedicated lab for creating future lending technologies using advanced AI applications. “Financial access at a click for Indian SMEs” is what describes FlexiLoans!